Our Mr. Onetime who is well known as Brainee has once again thrown his fans into a joyous frenzy with this dope new release. This new jam titled BELLA which most of us have anticipated for a while has done perfect justice to the time we've had to wait for it and alongside this tune, Mr. Onetime has also dropped a colourful video to help fans sing along with him. Very thoughtful right. 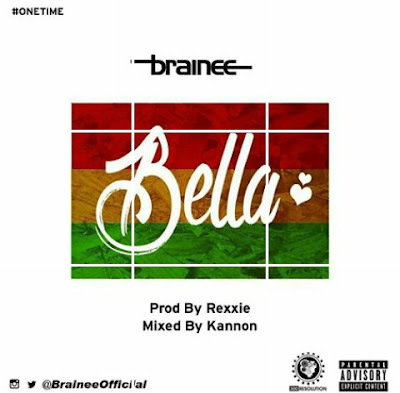 Anyways, after listening to this song, I'm sure there'd be any reason not to love Brainee for his #onetime savagery, everytime !